What is a Father’s Rights Lawyer? A father’s rights lawyer is a family lawyer who handles disputes on behalf of the father of a child in Famiy Law Court. The father’s rights lawyer will help his or her client with legal disputes dealing with custody battles, child support, amendment of child support, and all other aspects of the law involving the rights of the father. 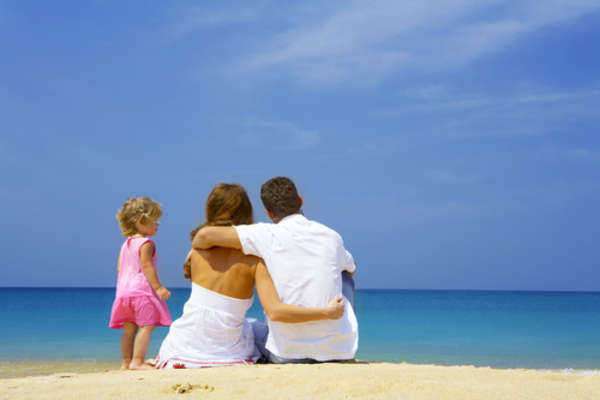 In 95% of the cases the parents of a child are able to work out the custody arrangements of the child on their own. In the other 5% of the cases a father’s rights lawyer may need to be retained. The Family Court will look at the “best interests of the child” in determining custody. These factors include: the health, lifestyle, working situation, and financial ability of the father; and the health, age, gender, health, and current living situation of the child as well as his or her relationship with the parents. Child support is determined by state law. When considering the amount of support that a non-custodial parent will pay in child support the court will look at a number of factors including: all assets of the non-custodial parent such as income, wages, stocks, bonds, welfare benefits and all other assets; how much custody, if any, the non-custodial parent has; and the lifestyle of the child before the separation of the parents. Courts will apply 1 of 4 methods when ordering child support payments: a flat fee, income shares, varying percentage, or the “Melvin Formula.” The flat fee and the varying percentage formulas basically require the non-custodial parent to pay a certain percentage of his income. In the income shares formula both parents will contribute in the same way as they would have if they had not separated. The “Melvin Formula” takes in a number of factors including income and the best interests of the child to determine child support. Why do I need a Father’s Rights Lawyer? You may need a father’s rights lawyer for a number of reasons. A father’s rights lawyer should be retained if you are disputing custody of your child, arguing against the paternity of a child, or are trying to alter custody arrangements. Father’s rights lawyers are also beneficial when you are attempting to adjust your child support payments or you are being sued by your former spouse for your failure to pay child support. A father’s rights lawyer is a necessary party when attempting to gain custody; argue paternity, or lack there of; or arguing for modification of child support payments. Because custody and child support issues are brought before a Family Court a general practitioner or lawyer who practices in traditional civil litigation may not be aware of the procedures and substantive law that corresponds with an action in Family Court. A father’s rights lawyer has the experience in a family law court setting that is necessary for a proper representation. A father’s rights lawyer is also necessary when seeking to modify child support payments. When a separation occurs the non-custodial parent is usually authorized to pay child support until the child reaches the age of 18. In some states this is required until the child has finished college. Many times an individual will not be able to maintain the child support payments that he or she was able to make in the past. A Father’s rights lawyer should be retained in these situations to help you argue hardship and convince the court that your current financial situation requires that your custody payments be reduced. The most important situation to have a father’s rights lawyer is when you have been delinquent in your child custody payments. Because of a number of reasons people fall behind of their bills, including child support. It is not always because the father is a “dead beat dad” but result from legitimate circumstances. Failure to pay child support can result in penalties, interest and in some cases, incarceration for civil contempt. The 6th Amendment to the United States Constitution does not require legal representation for civil court matters. The interpretation of the 6th Amendment is that representation is required when there is a “threat of incarceration.” However, a recent Supreme Court case has required that an individual who faces civil contempt charges for failure to pay child support, where not giving that person legal representation per se, should be given “alternate procedures” when facing imprisonment due to failure to pay child support. Even thought the 6th Amendment allows you “alternative procedures” when facing civil contempt for failure to pay child support you will want a father’s rights lawyer to help you stay out of prison. A father’s rights lawyer can help you make payment arrangements with a court that may include higher payments, disgorgement from wages or a number of other alternatives to incarceration. When looking for a father’s rights lawyer you will want one with extensive experience in Family Court procedures. A father’s rights lawyer who focuses his or her entire practice in Family Law is much more equipped than a lawyer who only does some practice in family court. You will also want a father’s rights lawyer with years of experience and preferably one that is a certified specialist in the area of Family Law. Also look at their education. Where did they go to undergrad? what was their major? and where did they go to law school? You will also want to check with the local bar association to see if that father’s rights lawyer has had any disciplinary actions taken against them or lost a malpractice case against. Rates will differ depending on the quality of the the father’s rights lawyer. Hourly rates range between $100 and $450. If the situation is complicated a father’s rights lawyer may require a flat fee in order to take the case. Father’s rights lawyers rarely represent clients on a contingency plan. It is unlikely that a father’s rights lawyer will want 30% of the resulting custody of your child; and its probably illegal as well. As with anything else, the more experience the father’s rights lawyer has the more expensive he or she will be. Same with certification; if a father’s rights lawyer is certified as a specialist by an organization or the bar association then he or she will likely charge more than a father’s rights lawyer who is not. It is best to try and settle as much of the custody dispute personally with your former spouse. The more contentious the relationship with your former spouse the longer the custody/child support litigation will take. In that case the expense of a father’s rights lawyer will rise.